So you’re FINALLY ready to move out. The apartment search is over, and you can’t wait to start life in your new home. But you’re not all the way yet. You still have to actually move. One of the most common questions surrounding moving is whether you should do it yourself or hire a moving company. And while hiring movers is often much easier, there are benefits to both options. We created a flowchart to help you find the best option for your situation! Whether you decide to roll up your sleeves and get to work or leave the heavy lifting to the professionals, Moved is here to help you along the way. Hope you found this helpful :). Have a happy move! 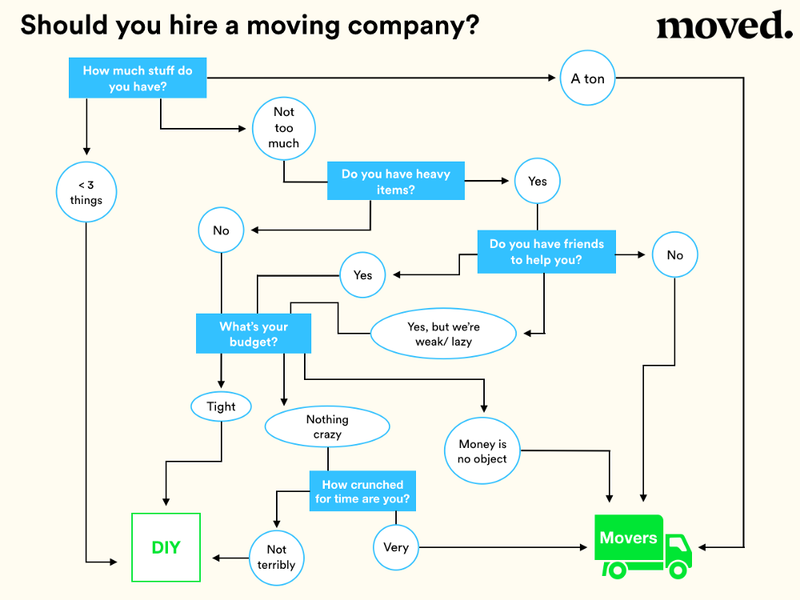 May 17 Do You Really Need A Moving Company? The Answer.